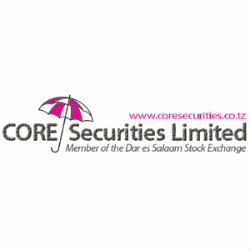 According to the Weekly Market Report of the week ended on 1st March 2013 issued by CORE Securities, a leading Tanzanian licensed stockbroker, the Dar Es Salaam Stock Exchange (DSE) total turnover increased by 107%, to TZS 595.98 Million (USD$ 367,731) from 287.29 Million (USD $ 177,282) the week earlier. Both local and foreign investors participated in the market. Foreign Investors participated by 73.21% while Local Investors by 26.79%. The Market Commentary shows the DSE All Share Index (ASI) and Tanzania Share Index (TSI) were flat edging UP by +0.42% and +1.77% to 1,505.76 and 1,515.57 respectively, compared by 1,501.80 and 1,498.82 of last week. Tanzania Breweries Limited (TBL) lost by(-0.6% to TZS 3,080 and SWISSPORT by -2.2% to TZS 1,820.While CRDB gained by +10.71% to TZS 155), TCC gained by +4% to TZS 5,200, NMB gained by +1.69% to TZS 1,200. Most of activities were seen on TPCC, NMB, CRDB and TBL counters. Total Market Capitalization is TZS 13,376 Billion (USD 8,438 Million). Regarding the Government activity, last Treasury Bills auction was done on 27th February 2013 with 182 successful bids and a total amount of TZS 178,659 Million (USD $ 171.9 Million). totaling TZS 12 Million (USD $ 74,051), no trade recorded for 2, 5 and 7 years bonds. Spot gold price was down by -5.50% to TZS 2.556 Million (USD $ 1,557) per ounce on Friday 1st March. Moving on to the Exchange Rate section, In comparison to previous week, the shilling lost ground against the UGX and KES while gained against the USD and GBP. The Annual Headline Inflation for the month of December 2012 remained the same as last November : 12.1%, while decreasing from 12.9% of October 2012. Inflation in Tanzania is estimated to decrease to a single digit in the next three months (IMF Report).